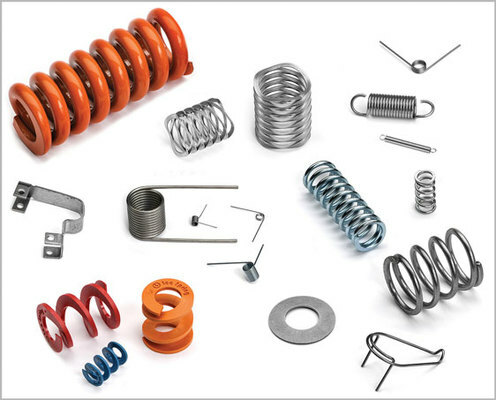 Lee Spring is the UK supplier of choice for catalogued and custom springs, including compression springs, torsion springs, constant force springs, die springs, belleville spring washers, wave springs, extension springs, battery springs and numerous speciality springs. Materials include steel, stainless steel, cobalt/nickel alloy, bronze, brass, music wire and composite plastics. Many springs from Lee Spring are especially suited to medical and related pharmaceutical applications where reliability and precision are essential, and potentially life critical factors. Lee Spring have increased the number of defined metric springs in their catalogue and can deliver standard metric springs anywhere in the world to clean metric dimensions in parallel with imperial sizes. The compression spring range from Lee Spring includes Bantam™ mini springs, Lite Pressure™ variants, mainstream die springs and the LeeP™ series of plastic composite compression springs.